By 2001 one helicopter was under contract to Railtrack/Network Rail for line and gantry inspection sorties and also being used 'regularly' by the British Transport Police for anti-truancy patrols. 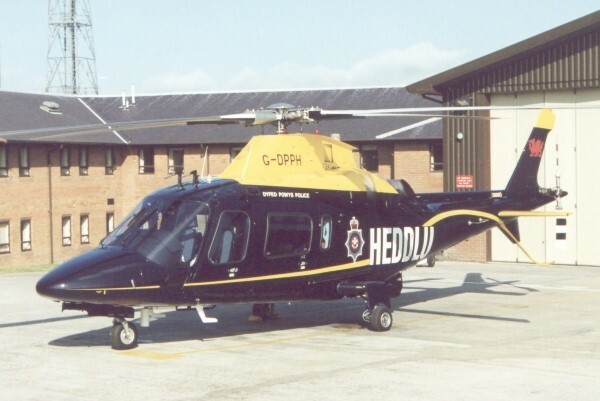 In addition, there is a joint BTP/Railtrack initiative (newly formed in mid 2002) operating as "Operation Hawk" using Bo105 G-BTKL based at Cardiff Tremorfa heliport. 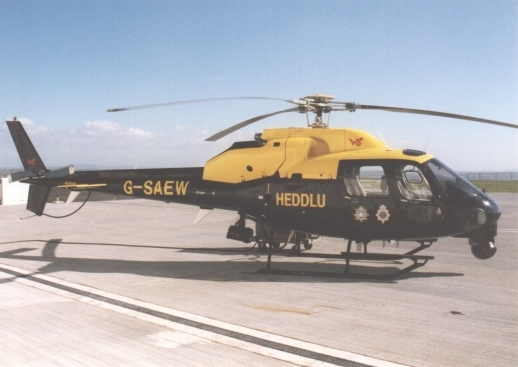 Six observers have been trained by the South & East Wales Air Support Group to operate trespass and vandalism patrols in South Wales and the South West area. A Unit Executive Officer has been trained by Leicestershire to provide management support. The operation usually runs during school holidays but is being evaluated with a view to becoming a permanent feature. CPASU, Ops. Division, HQ, Hinchingbrooke Park, Huntingdon, PE18 8NP. EPASU, Old Control Tower, Boreham Airfield, Waltham Road, Boreham, Essex, CM3 3BG. Cambridgeshire & EssexAir Support Unit. Based at RAF Wyton, near Huntingdon, and Boreham, Essex. 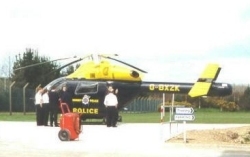 Joined by the Suffolk Constabulary in October 2000 with a helicopter at RAF Wattisham. CCAOU, Halfpenny Green Airfield, Bobbington, Stourbridge, West Midlands, DY7 5DY. Air Operations Unit since 1990, originally based at Halfpenny Green, but later moved to Stourbridge. Previously called Midlands AOU. G-BTKL Eurocopter Bo105DB-4 c/n S.422 Leased from Veritair Ltd 1990-March 1996. 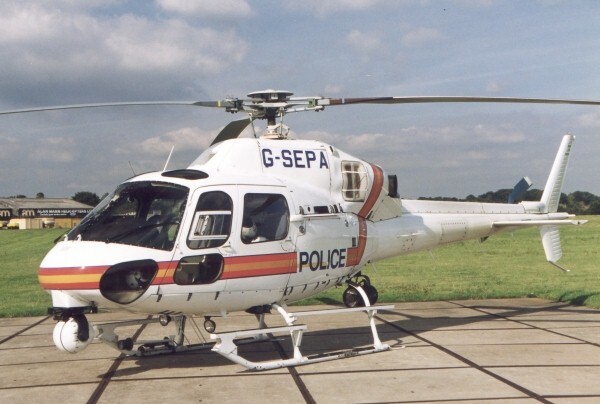 G-CCAO Eurocopter AS.355F.2 Twin Squirrel c/n 5077 Leased from Operational Support Services Ltd, 1996 until late 1998. CPASU, International House, Flint Road, Saltney Ferry, Chester, CH4 0BW. Air Support Unit now based at Hawarden, after moving from Speke Airport, Liverpool in 1998. Special Equipment: Nose FLIR/TV turret. CPASU, Thames Valley Police HQ, Kidlington, Oxford, Oxon. Prince Way, Airport Approach Road, Luton. Air Support Unit. 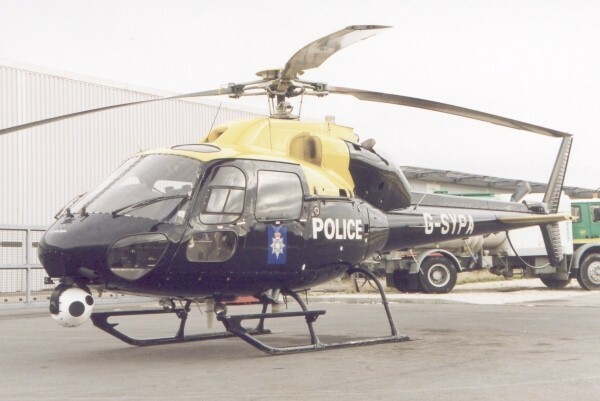 Formerly Thames Valley ASU until February 1996. 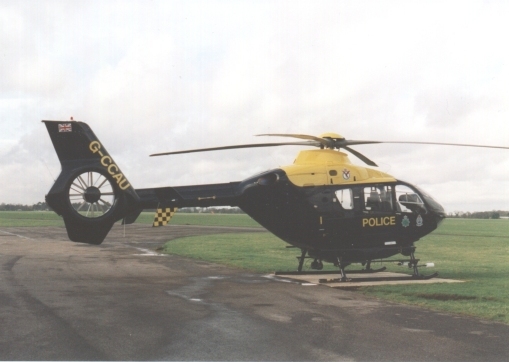 Originally based at Oxford and Luton Airports, from 1998 based at RAF Benson and Luton. Special Equipment: Both AS.355 with AGEMA/Leo 400 Nose FLIR/TV turret, searchlight, comms suite. 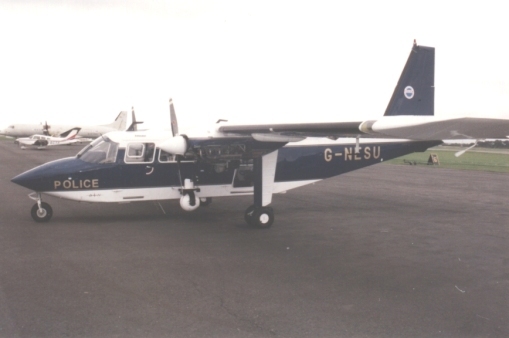 Air Support Unit based at Carlisle Airport. The CASU closed in December 1997 and the Cumbria Police area now obtains its Air Support from both NEASU and Lancashire. 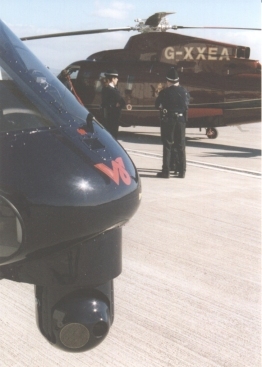 Special Equipment: AGEMA/Leo 400 FLIR/TV turret on underwing pylon from 1995. D&CCASU, Middlemoor HQ, Exeter, Devon, EX2 7HQ. 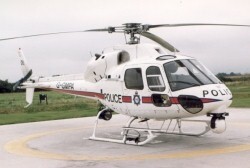 Air Support Unit based at Middlemoor. Formed in 1982. DPASU, Winfrith, Dorchester, DT2 8DZ. 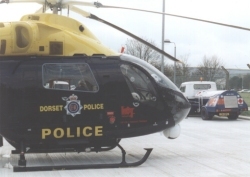 Air Support Unit, initially operating ad hoc from 1996, based at Compton Abbas, but moved to Police HQ, Winfrith, Dorchester in 1998. DPPASU, PO Box 99, Llangunnor, Carmarthen, SA31 2PF. Air Support Unit with one helicopter based at Carmarthen. Formed May 1990. EMASU, Sulby Road, Sulby, near Welford, Northamptonshire, NN6 6EZ. 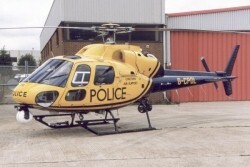 East Midlands Air Operations Unit formed April 1994, based at Husbands Bosworth, Leics. Special Equipment for AS.355N: AGEMA/Leo 400 nose FLIR/Video turret. 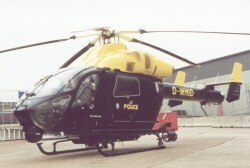 Air Support Unit formed in July 1990, based at Boreham Airfield near Chelmsford. Joined Cambridgeshire & Essex Police Consortium in 1996. GMPASU, Barton Aerodrome, Liverpool Road, Eccles, Manchester, M30 7FZ. Air Support Group based at Barton Aerodrome. Formed 7 December 1989. 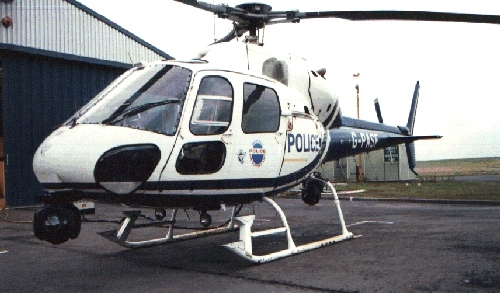 Special Equipment for AS.355F: AGEMA/Leo 400 gyro stabilised FLIR/camera platform under nose, microwave datalink, TRACKER receiver, VCR equipment, Nitesun, Skyshout, GPS. HPASU, Hampshire Police, Control Tower, Argus Gate, Brooke Way, Lee on Solent, Hampshire, PO13 9YA. 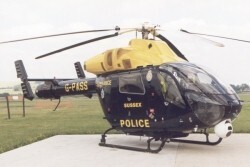 Air Support Unit based at Lee-on-Solent. G-HPAG PBN BN-2T Defender 4000 to replace above, but delivery may now be delayed by the financial problems at Britten-Norman. 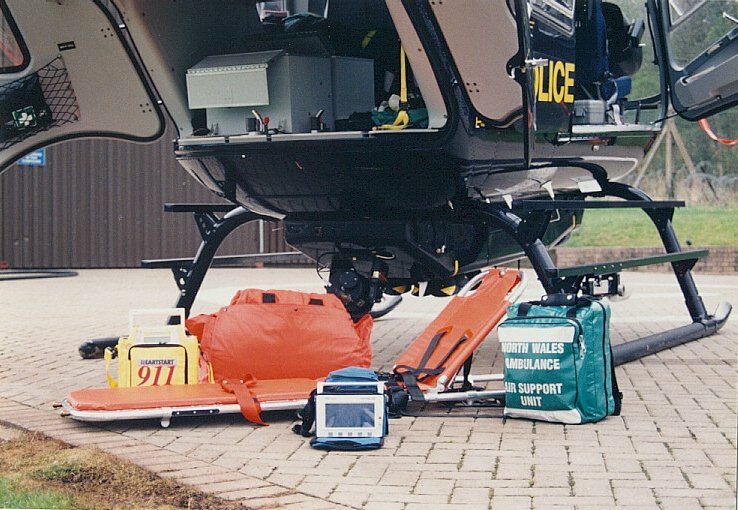 Islander special equipment from 1993: AGEMA/Leo 400 gyro stabilised camera platform in nose, with TI camera and hi-res daylight TV camera. HPHSU, Police HQ, Queens Gardens, Kingston Upon Hull, East Yorkshire, HU1 3DJ. 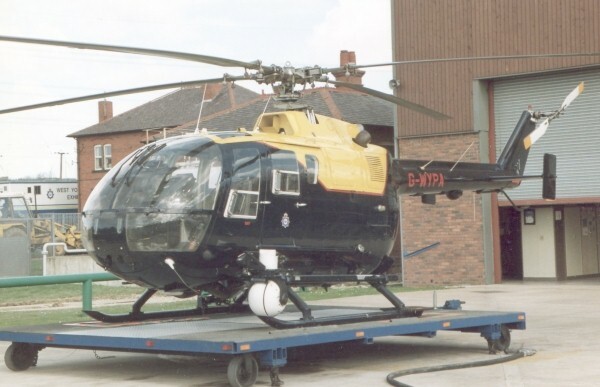 Air Support Unit formed December 1996, based at RAF Leconfield, near Beverley. Special Equipment for Bo105: AGEMA/Leo 400 nose FLIR/Video turret, searchlight, Nitesun, comms systems. 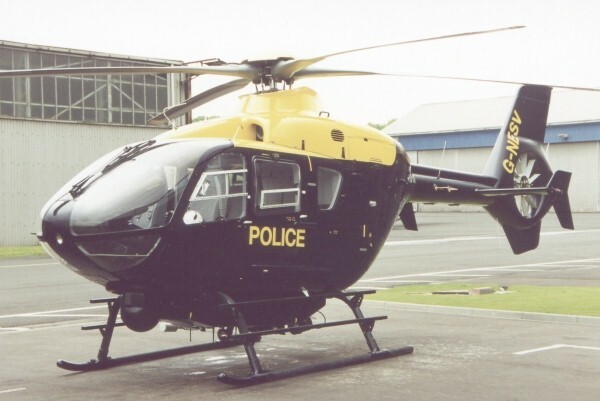 New helicopter planned for 2001/2002. LCASU, BAE Systems Ltd, Warton Aerodrome, Warton, Preston, PR4 1AX. Air Support Unit based at BAe Warton, Preston. Formed 21 November 1994. 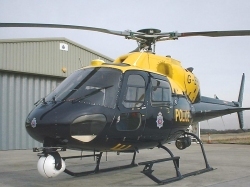 Special Equipment: AGEMA/Leo 400 nose FLIR/Video turret, searchlight, Nitesun, comms systems. MPASG, Liverpool Airport, Speke, Liverpol, L24 1YD. 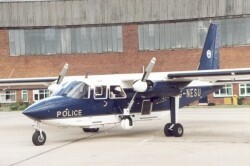 Merseyside Police Air Support Group initially based at Speke Airport, Liverpool, but moved to RAF Woodvale, near Formby, circa November 2000. 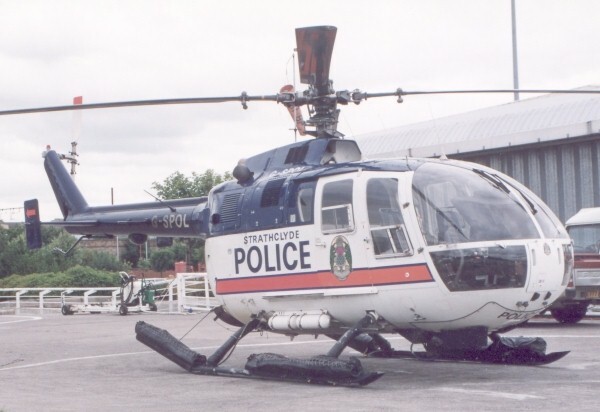 Police Helicopter Unit formed April 1970, based at Elstree, Hertfordshire. 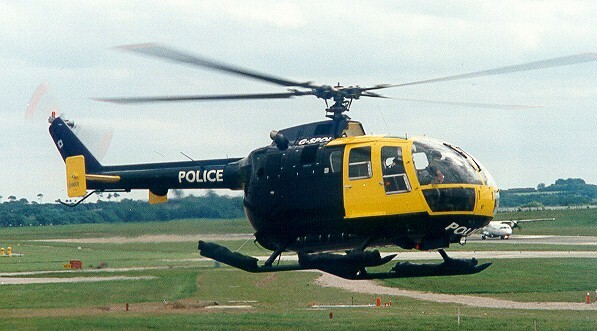 Air Support Unit formed November 1980, based at Lippitts Hill, Essex from 1978. 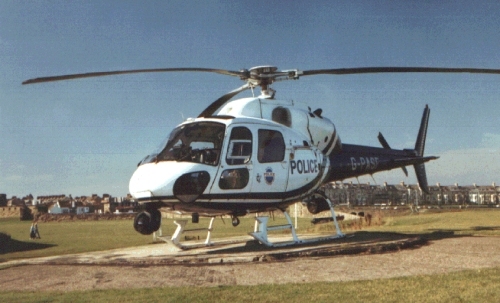 Landing site at Redhill, Surrey from June 1993 for Surrey Constabulary use, replaced by Fairoaks in September 1994. Renamed South East Regional Police Air Support Unit April 1996. Metropolitan Police Homepage. Special Equipment for Bell 222: Loud hailers, nightsun, domed observation windows, provision for Hele-Tele system initially. Later fitted with FLIR2000HP in starboard wingstub and Trimble GPS. Note: 'India 9X' call signs not assigned to specific airframes. Special Equipment for AS.355N: Nightsun searchlight, FLIR2000 chin turret, Trimble GPS. NCASU, c/o Sterling Helicopters, Hangar E, Gamboling Close, Norwich Airport, Norwich, NR6 6EG. Air Support Unit based at Norwich Airport. NEASU, Newcastle International Airport, Woolsington, Newcastle upon Tyne, NE3 8BT. 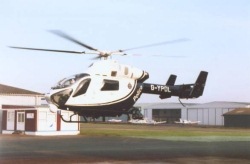 North East Air Support Unit based at Teeside Airport. Formed 1st June 1995. Special Equipment for Islander: Side mounted AGEMA/Leo 400 FLIR turret, port side camera door. 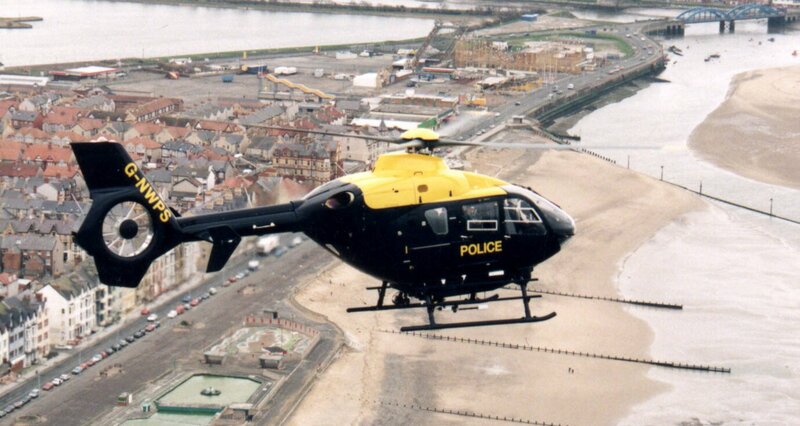 Air Support Unit based at Newcastle Airport. 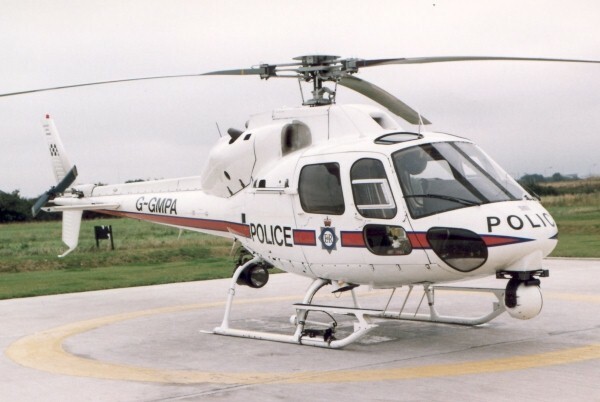 The Northumbria Police Air Support unit commenced operations in October 1989 and ceased operations following the creation of the North East Police Consortium on 1st June 1995. Special Equipment: FSI FLIR 2000 chin turret & searchlight. NMHSU, HQ, Butterley Hall, Ripley, Derby, DE5 3RS. 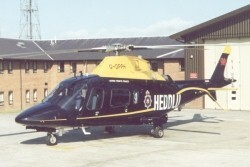 North Midlands Air Support Unit formed in 1998. Based at Ripley, Derbyshire. NWPASU, Gipsy Lane, Abergele Road, RHUDDLAN, North Wales. Special Equipment for G-NWPI: Wescam FLIR/TV nose turret, searchlight. Special equipment for G-NWPS: Leo 2 FLIR/TV plus NVG, ANR, Moving Map. Close-up the rescue equipment carried. PSNIASU, Hut D, Brooklyn, Knock Road, Belfast, BT5 6LE. Special Equipment: Thermal imager, comms equipment. SEWPASU, c/o Veritair Ltd, Cardiff Heliport, Foreshore Road, East Moors, Cardiff, CF1 5LZ. 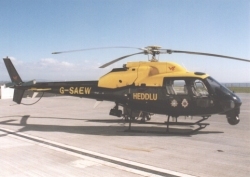 Air Support Unit based at Cardiff Heliport. Formed April 1995. 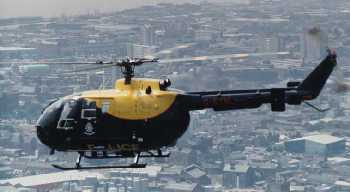 * Suffered mechanical failure while hovering and landed on the roof of a house in North Cardiff, no injuries. AAIB Accident Report. SERPASU, Lippitts Hill, High Beach, Loughton, IG10 4AL. 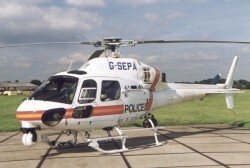 South East Regional Police Air Support Unit formed when Metropolitan Police ASU, renamed 1 April 1996. Based at Lippitts Hill, Essex and Fairoaks, Surrey. SYPASU, Police HQ, Snig Hill, Sheffield, S3 8LY. 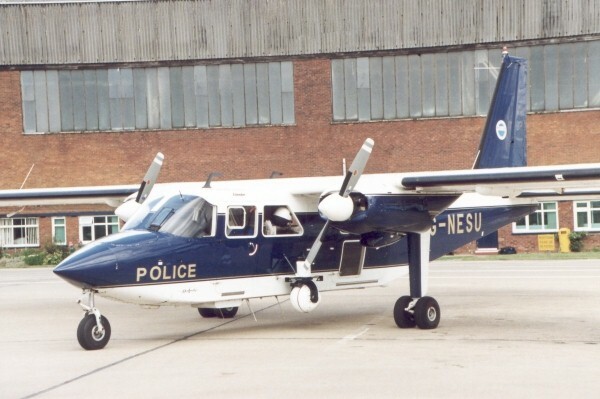 Air Support Unit based at Sheffield City Airport, Tinsley, having moved from Carr Gate, Wakefield in June 1997. Formed Dec 1996. SPASU, City Airport, SECC, Glasgow, G3 8QQ. 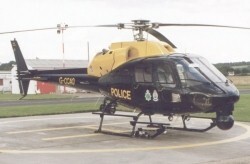 Air Support Unit based at Clyde Heliport, Glasgow. Formed 1989. Special Equipment for G-SPOL: FSI FLIR 2000 turret on port side pylon, emergency flotation gear. Suffolk Police HQ, Portal Avenue, Martlesham Heath, Ipswich, IP5 7QS. Air Support Unit to be formed during 2000. 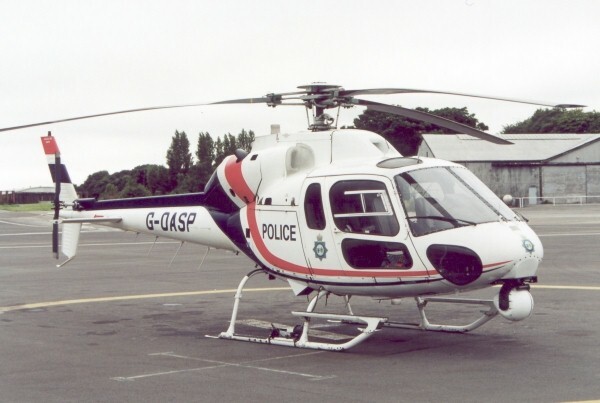 SPHSU, Shoreham Airport, Shoreham by Sea, West Sussex, BN43 5FF. Air Support Unit based at Shoreham Airport, near Brighton. Operations include paramedic duties with Sussex Ambulance Service. Formed 1987. Special Equipment for Bo105: BSS 400 FLIR/TV turret. Thames Valley Police (i.e. counties of Oxfordshire, Berkshire and Buckinghamshire) in association with Hertfordshire & Bedfordshire Police forces. 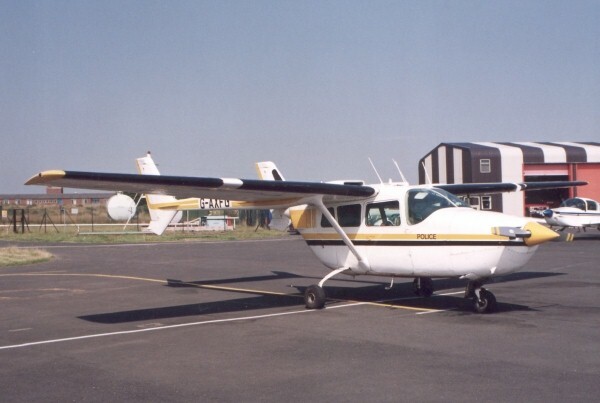 Air Support Unit based at Oxford Airport initially, then RAF Abingdon, back to Oxford Airport in 1988. First formed 1985. Changed name to Chiltern ASU in 1996. 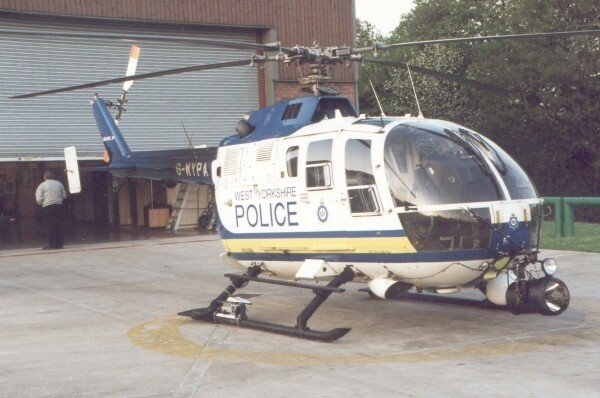 Air Support Unit originally at Police HQ, Leek Wooton, Warwick, but from 1993 operated from Baginton, Coventry Airport. Withdrew from Midlands AOU April 1990. Joined East Midlands AOU in 1994. WMPASU, Birmingham International Airport, Ground Floor, Elmdon Building, Birmimgham, B26 3QN. Air Support Unit based at Birmingham Airport from late 1988. Withdrew from Midlands AOU late 988. Special Equipment for AS.355: FLIR/CCD Video turret, Nitesun, Skyshout, comms suite. WCAOU, BAE Systems Ltd, Flight Operations, PO Box 77, Bristol, Avon, BS99 7AR. 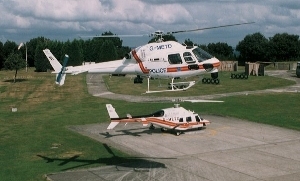 Western Counties Air Operations Unit. Established mid 1995. Based at Filton Airfield, north of Bristol. 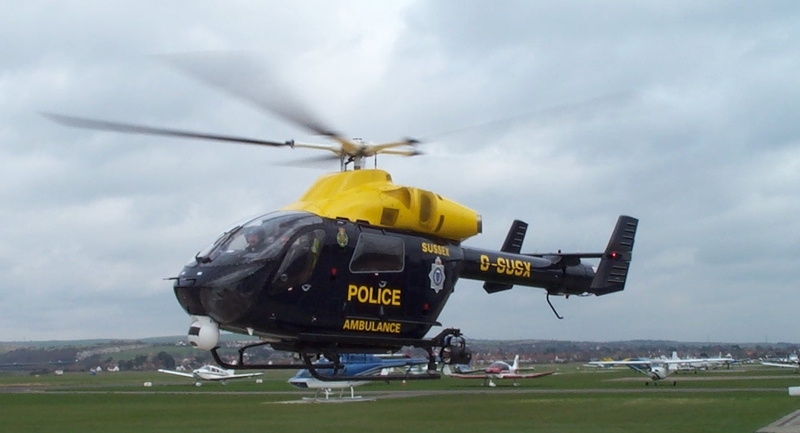 The AOU often hires in a spare helicopter for major events, such as the Royal International Air Tattoo at Fairford. New helicopter due circa 2002. WYPASU, Ops Division, Cardigan House, Carr Gate, Wakefield, WF2 0QD. 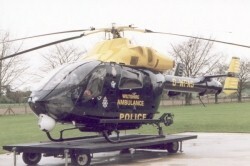 Air Support Unit based at Carr Gate, Wakefield. Formed December 1989. 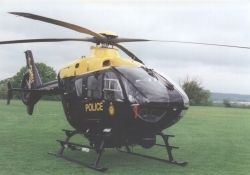 WCASU, Police HQ, London Road, Devizes, Wiltshire, SN10 2DN. 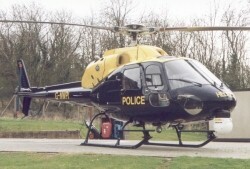 Air Support Unit based at Police Force HQ, Devizes. Operations include paramedic duties for Wiltshire Ambulance Service. 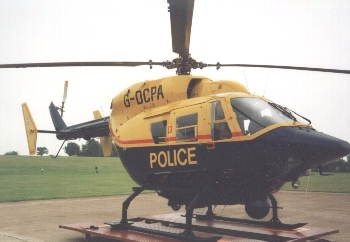 Formed 1987, after Home Office trials with Robinson R-22s. 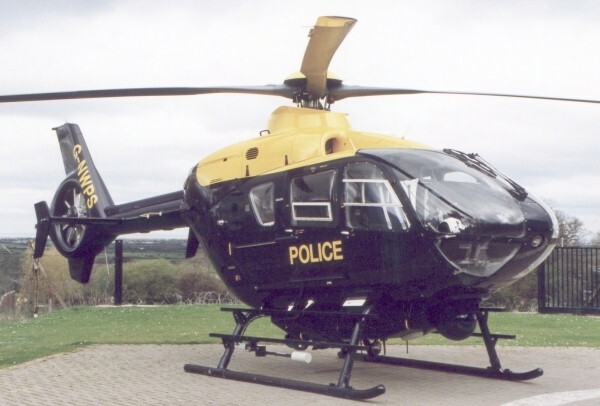 Here are details of the helicopters retained as engineering spares by the contracting companies and are therefore without an assigned emergency service operator. G-PASG Eurocopter Bo105DBS-4 (Medical Aviation Services Ltd). This is the MAS demonstrator/Group spare, also used by a number of Police Forces for ad-hoc work at big public events. 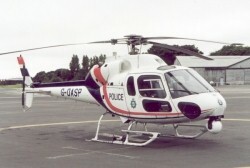 G-PASH Eurocopter AS.355F.1 c/n 5040 (Police Aviation Services Ltd) ex F-GHLI registered 17 May 1996. Engineering spare, also used by a number of Police Forces for ad-hoc work at big public events. 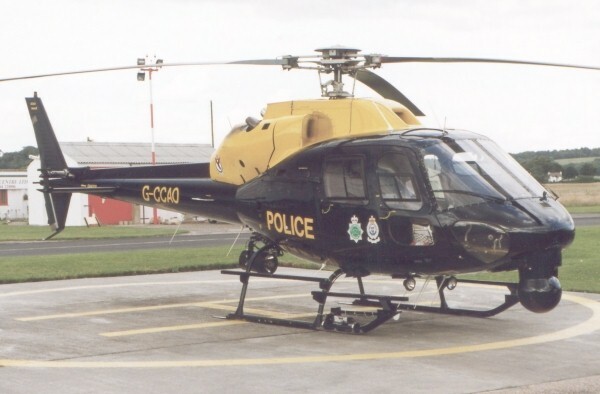 G-PASX Eurocopter Bo105DBS-4 (Police Aviation Services Ltd). Engineering spare, also used by a number of Police Forces for ad-hoc work at big public events. 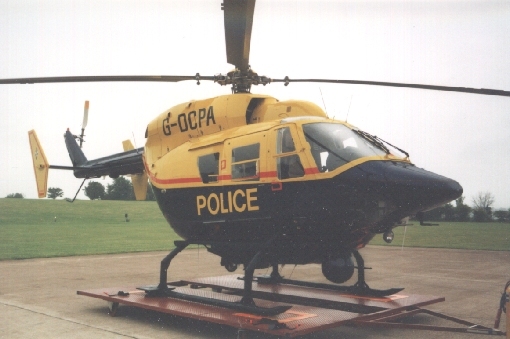 This was the McAlpine Helicopters spare, often used for big public events to supplement existing equipment. During 1998 it was repainted in the new blue/yellow high conspicuity colours and now serves as the North West Consortium engineering spare, based at Barton and owned by MASL. Aeromega Ltd provide helicopters and engineering support to a number of forces. Their main contracts are with the Cambridge & Essex Consortium and also the engineering for the Luton half of the Chiltern Consortium. They were based at Stapleford, Notts, but are now reported to be based in Essex. They have the old G-XPOL [now G-OTSP] and G-NWPI [now G-BYPA] as their main spare airframes. 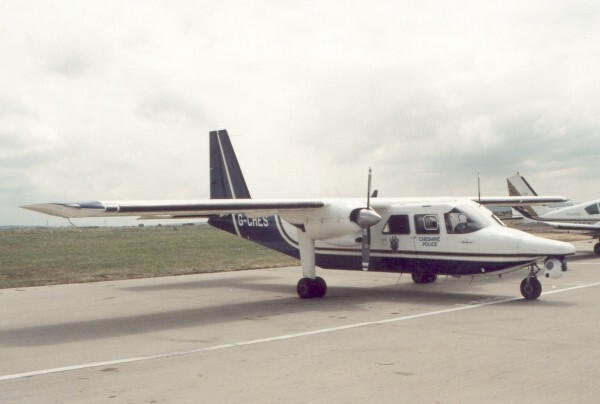 McAlpine Air Services Limited (MASL) is a sister company of McAlpine Helicopters Ltd, in the Newarthill plc group, formerly called Operational Support Services Ltd. Bond Air Services Ltd (BASL) is a division of the Bond Helicopters Ltd group, which is owned by Helikopter Services of Norway. 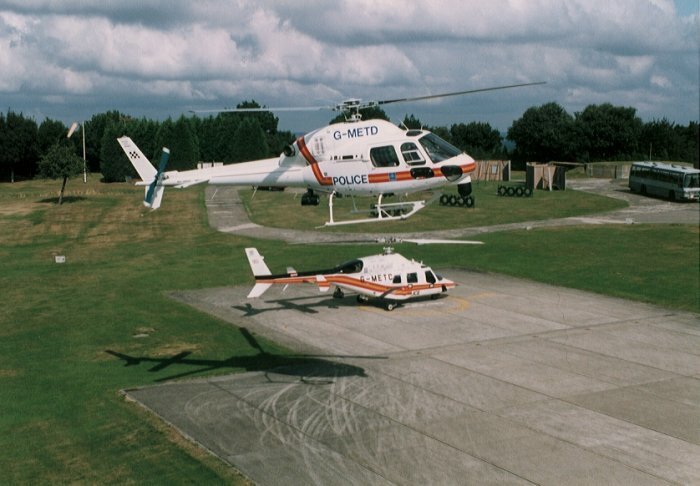 Originally operated EMS helicopters under the name 'First Air'. Police Aviation Services Ltd and Medical Aviation Services Ltd are part of the Specialist Aviation Services group based at Staverton, Gloucestershire. 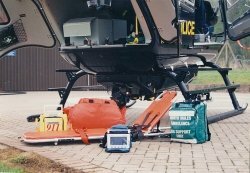 Recently purchased by the Dutch RDM Group which also owns MD Helicopters. The author acknowledges the considerable assistance of Bryn Elliott in producing this feature and keeping it up to date. Also the help from Colin Hill, Roger Wilcox and various others. 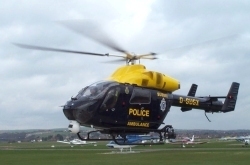 For further information on police aviation, you might also like to visit the ALEA webpage, incorporating Police Aviation News - Journal for the Airborne Emergency Services.